Many people believe that the only way to build muscle is through heavy weight training, but that is not true as there are certain methods that allow you to gain muscle mass without the need of any fitness equipment. This type of bodyweight training is also referred to sometimes as calisthenics, and is perfect if you are not able to afford a gym or home equipment, do not have the time to get to a gym, or you just simply want to keep in shape without the use of equipment. The reasons for building muscle without weights varies for each individual, but the thing that applies to all who do so is how they carry on to achieve results from bodyweight training. Building muscle mass should always be looked at as a type of science. Truth of the matter is, as long as you follow a couple of simple fundamentals, you will eventually achieve the muscular growth you desire. One of these fundamentals to engrave into your mind needs only one word to describe it, and that word is change. Your body and mind are going to notice things such as trends and routines being developed, and to counter this you need to always keep your body in “shock” by changing up your routine and fitness training. Shock is the process of stimulating your muscles through change in the intensity of your workout. For example, if during one week of bodyweight training you are performing 20 pushups a day, this means the next week you could perform 30-40 pushups a day to shock your body. Another way to shock your body is to choose a couple of days where you perform negatives (slow down the exercise to place tension on the muscles) on the last five repetitions to complete your set. The point is to not let your body develop a habit in the way you train. Habit ultimately leads to a plateau (when your progress slows down or stops all together), therefore, the importance of changing up your routine is paramount for success. The other fundamental to remember is muscle targeting, which means knowing how to train each specific muscle group in order to develop them equally. Sports science has always researched and experimented on how to increase the full potential of a person in training, and one thing that has never changed is that each muscle group needs to be worked with 4-5 sets of 8-14 repetitions per muscle group. This combination applies to both training with weights, and without them. Remember, there is a common myth that no rest days are needed when bodyweight training. The only reason you would not need a rest day is because you performed maintenance training, which would be doing like 20 pushups and some crunches in the morning. However, when performing a muscle building bodyweight training regimen you exhaust your muscles. Your body cannot differentiate bench press from pushups so long as you train just as hard with either or. With this information, you can now piece together a working training cycle to keep your body in shape, and of course build muscle without weights. Building Muscles Without Weights: Where do I Start? First things first, you need to start this type of training off by having the motivation to actually do so. Simply put, if you have no motivation to accomplish your goals, you will get nowhere in your training. Next, you will of course need to have a healthy diet that feeds your muscles the fuel they need to grow. Drinking whey protein is just not going to cut it; you need to be eating foods that are nutritious such as fish and almonds. This is not saying that you need to eat 4,000 calories a day like a bodybuilder, but rather that a perfect diet is going to increase your growth potential. Believe it or not, two methods I use that will also help you develop muscle without weights are flexing and stretching. When you stretch or flex your muscles, stimulation occurs from the increasing blood flow to your muscles, and stimulation promotes growth and development. Flexing may sound odd but the truth of the matter is, both stretching and flexing should be incorporated into your overall exercise routine to achieve optimal results. You’re going to find that there are a ton of bodyweight exercises to add to your arsenal. In fact, the short list below contains many great exercises to perform without the need for any equipment at all. You will notice that pull-ups are not on the list because they require a piece of equipment, however, because pull-ups are one of the best bodyweight exercise to perform for the upper body, I highly recommend you purchase a specialty doorway pull up bar for your home. Thankfully these can be had for less than thirty bucks so they are affordable and an invaluable piece of equipment for bodyweight training. Here are some of the more popular pull up bars for your home. TIP: Some will say to perform them on a door, but because that might actually break the door or loosen the hinges, I highly recommend you invest the thirty bucks. Not all doors are created equal! Looking for more great bodyweight exercises? Click here to watch some demonstration videos. 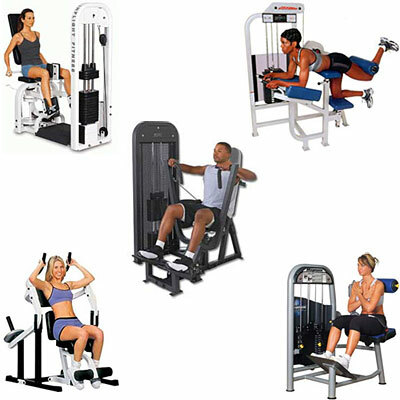 Regardless of what you may have heard, you don’t need any fancy gym equipment to get in amazing physical shape. I am a big fan of bodyweight training as I feel it is one of the best approaches to get fit. It is a convenient, versatile, and effective form of exercise. Go ahead and combine bodyweight exercises with free weight training, regular cardio exercise, and a balanced nutrition to achieve fantastic results!